THE MONSTER HUNTER MEMOIRS SERIES CONTINUES. 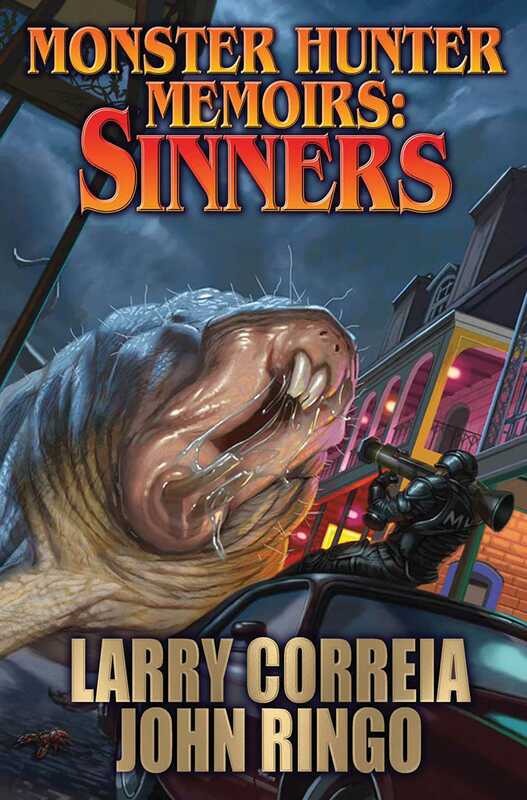 TWO AUTHORS, WHO COMBINED HAVE OVER FOUR MILLION BOOKS IN PRINT AND 10 NEW YORK TIMES BESTSELLERS, TEAM UP TO EXPAND LARRY CORREIA'S MONSTER HUNTER UNIVERSE! With New Orleans out of control, Chad Oliver Gardenier, one of Monster Hunter International’s premier hunters, has been dispatched from Seattle to reinforce the beleaguered members of MHI'S Hoodoo Squad in their fight against the darkness. Chad had once taken a werewolf while wearing only jogging gear. With half a dozen or more loup garou appearing every full moon, mysterious shadow demons, houdoun necromancers, fifty-foot bipedal crocodiles showing up every couple of months and more vampires than a Goth concert, New Orleans in the '80s gives a whole new perspective to the term “Hell on Earth.” In fact, more monsters are popping up than crawfish at a fais do do! Chad may be able to collect enormous bounties for the monsters he kills. But there’s one catch: he has to stay alive to do it!